Update from March 28, 2018: We updated the Amazon Trust Services table by replacing an out-of-date value with a new value. Transport Layer Security (TLS, formerly called Secure Sockets Layer [SSL]) is essential for encrypting information that is exchanged on the internet. For example, Amazon.com uses TLS for all traffic on its website, and AWS uses it to secure calls to AWS services. An electronic document called a certificate verifies the identity of the server when creating such an encrypted connection. The certificate helps establish proof that your web browser is communicating securely with the website that you typed in your browser’s address field. Certificate Authorities, also known as CAs, issue certificates to specific domains. When a domain presents a certificate that is issued by a trusted CA, your browser or application knows it’s safe to make the connection. In January 2016, AWS launched AWS Certificate Manager (ACM), a service that lets you easily provision, manage, and deploy SSL/TLS certificates for use with AWS services. These certificates are available for no additional charge through Amazon’s own CA: Amazon Trust Services. For browsers and other applications to trust a certificate, the certificate’s issuer must be included in the browser’s trust store, which is a list of trusted CAs. If the issuing CA is not in the trust store, the browser will display an error message (see an example) and applications will show an application-specific error. To ensure the ubiquity of the Amazon Trust Services CA, AWS purchased the Starfield Services CA, a root found in most browsers and which has been valid since 2005. This means you shouldn’t have to take any action to use the certificates issued by Amazon Trust Services. AWS has been offering free certificates to AWS customers from the Amazon Trust Services CA. Now, AWS is in the process of moving certificates for services such as Amazon EC2 and Amazon DynamoDB to use certificates from Amazon Trust Services as well. Most software doesn’t need to be changed to handle this transition, but there are exceptions. In this blog post, I show you how to verify that you are prepared to use the Amazon Trust Services CA. The following table lists the Amazon Trust Services certificates. To verify that these certificates are in your browser’s trust store, click each Test URL in the following table to verify that it works for you. When a Test URL does not work, it displays an error similar to this example. * Note: Amazon doesn’t own this root and doesn’t have a test URL for it. The certificate can be downloaded from here. If your tests of any of the Test URLs failed, you must update your trust store. The easiest way to update your trust store is to upgrade the operating system or browser that you are using. The Windows operating system manages certificate bundles for Internet Explorer and Microsoft Edge, so you must update Windows as well. If your application is using a custom trust store, you must add the Amazon root CAs to your application’s trust store. The instructions for doing this vary based on the application or platform. Please refer to the documentation for the application or platform you are using. If you are using a technique called certificate pinning to lock down the CAs you trust on a domain-by-domain basis, you must adjust your pinning to include the Amazon Trust Services CAs. 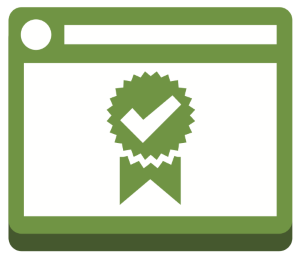 Certificate pinning helps defend you from an attacker using misissued certificates to fool an application into creating a connection to a spoofed host (an illegitimate host masquerading as a legitimate host). The restriction to a specific, pinned certificate is made by checking that the certificate issued is the expected certificate. This is done by checking that the hash of the certificate public key received from the server matches the expected hash stored in the application. If the hashes do not match, the code stops the connection. AWS recommends against using certificate pinning because it introduces a potential availability risk. If the certificate to which you pin is replaced, your application will fail to connect. If your use case requires pinning, we recommend that you pin to a CA rather than to an individual certificate. If you are pinning to an Amazon Trust Services CA, you should pin to all CAs shown in the table earlier in this post. If you have comments about this post, submit them in the “Comments” section below. If you have questions about this post, start a new thread on the ACM forum.